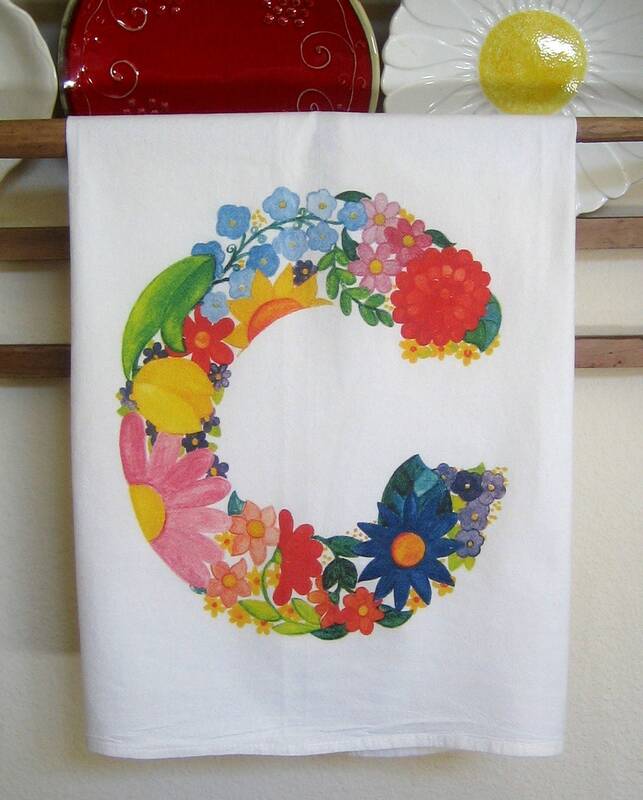 Monogram kitchen towel, flower letter "C". 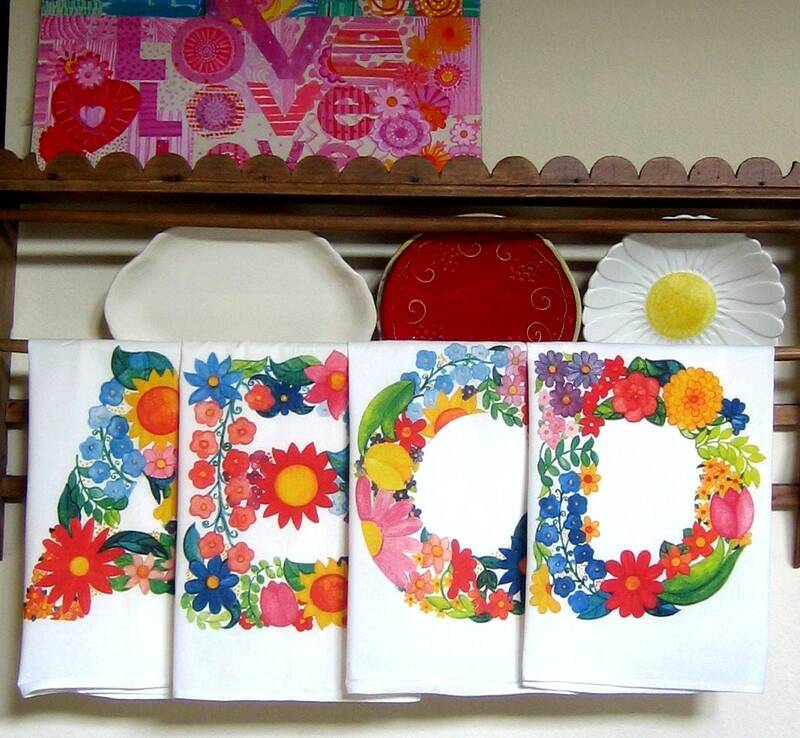 Original watercolor flowers letter "C" scanned at high resolution, digitally printed (for color and detail), on large nice quality and weight cotton kitchen towel, 30X30. Letter is appx 9"across printed on bottom edge, center of towel. Not an overall print, a single letter.